Good news, everyone: fully three years since Sharps, Savages—the long-awaited new novel by K. J. Parker—is actually happening! That wider world is dominated by an empire that has existed for decades in a state of near perpetual war. A host of colorful characters will help to shape the destiny of the empire, and its constantly shifting array of allies and adversaries; among them, a master military strategist, a former pacifist who inherits his father's moribund arms business, a beautiful forger and a very lucky counterfeiter. Each of them, together with corrupt bureaucrats and the nomadic 'savages' of the title, plays a part in a gradually unfolding drama of conflict and conquest played for the highest of stakes. 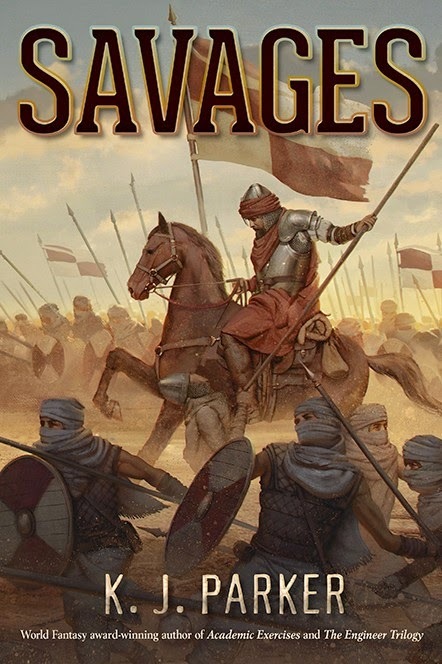 The limited edition of Savages is coming from Subterranean Press in the States this summer. A little birdie tells me a more affordable edition will be released in the UK in the same timeframe. That's this July, guys. Time to get excited, right?